“While life lasts.” This can be a very brief moment in time for a spring ephemeral. In that narrow window that exists between thawing ground and the leafing out of the tree canopy, spring ephemerals—those woodland wildflowers that emerge, then quickly go dormant—live their life. If you want to see some of the spring woodland flowers in bloom, you often have to be there on the day. In the McDonald Woods at the Chicago Botanic Garden, sometimes all you find are petals scattered on the ground, and you realize you have to wait another year. This is particularly true of species like bloodroot (Sanguinaria canadensis), whose blossoms only last for a day before they drop. Additionally frustrating is that cloud cover can hamper catching the full glory of the blooming of some species. You may show up on a sunny morning only to have the blossoms close up before your eyes. 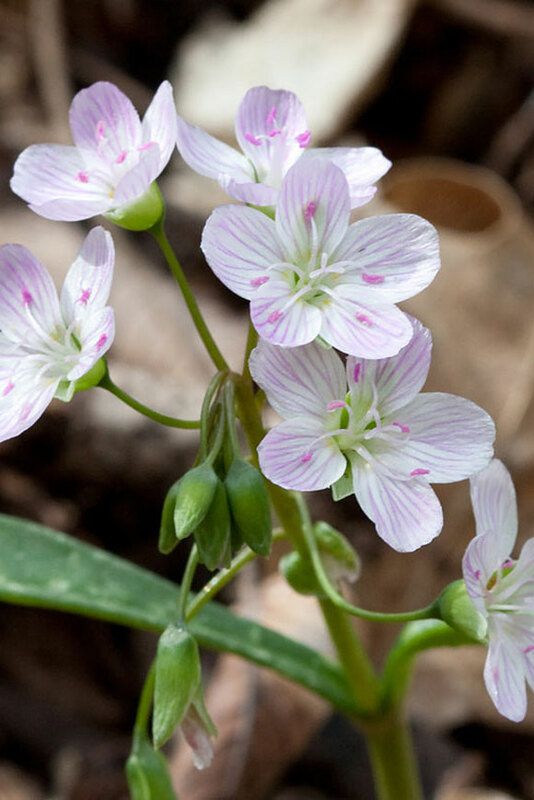 Species like spring beauties (Claytonia virginica) will only open in the full sun and will close again if clouds appear. This response to sunlight may be the result of temperature or light. Some ephemerals might provide longer viewing opportunities, since they hold their flowers for a longer period of time, or have many more plants that flower on different days. 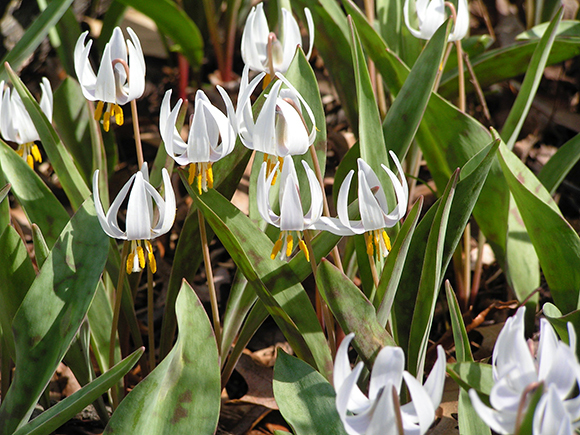 Trout lilies also spread by underground rhizomes that form clumps, often covering large patches in the woodland, the mottled leaves camouflaging their abundance, only to become dazzling drifts of white when the sun appears. If you have time, you can come out to the woodland early in the morning and watch the white petals of the trout lilies curl back and expose their yellow anthers to the sun—and pollinators. There are also a few annual spring ephemerals. False mermaid (Floerkea proserpinacoides) is a spring ephemeral annual. Unlike many of the other ephemerals, false mermaid is inconspicuous in that it is a small, ferny green plant with tiny greenish flowers. 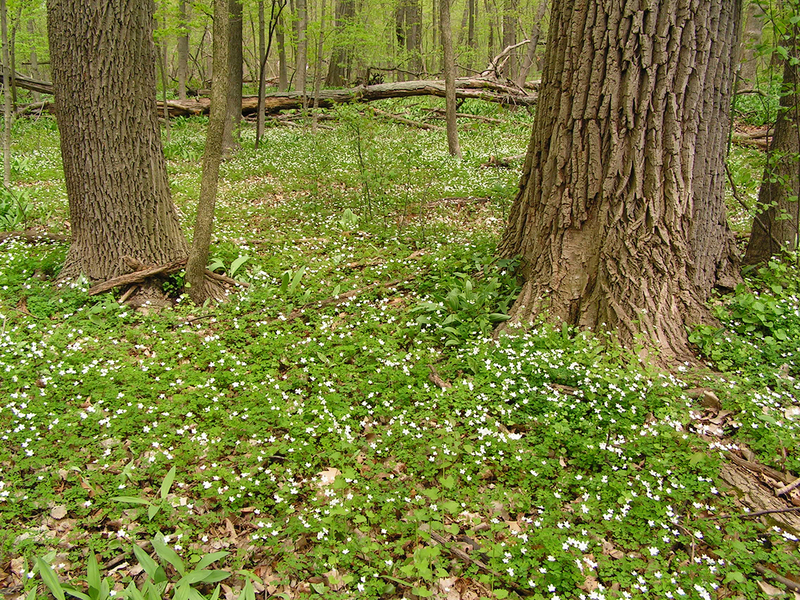 Portions of the nature trail in the McDonald Woods are surrounded with acres of this species in spring. Even in these large numbers, without close inspection, it is difficult to tell when they are in flower. This species is dependent on its flowers producing one to three large seeds to be able to reproduce itself after the plant turns yellow and dies. Many of the spring ephemerals depend on native bees for their pollination. The trout lilies are visited by an oligolectic bee (Andrena erythronii). “Oligolectic” means this is a bee that has a narrow, specialized pollen preference, typically for the pollen of a single genus of plants. The species name of this bee, erythronii, refers to the genus of the trout lily, Erythronium. Another ephemeral with an oligolectic bee pollinator is the spring beauty. The bee that is a specialist of this ephemeral, with its attractive pink-striped flowers, is Andreana erigeniae. While these plants often have specialist pollinators associated with them, they usually have several different pollinators that can visit, including other native bees and many species of flies. 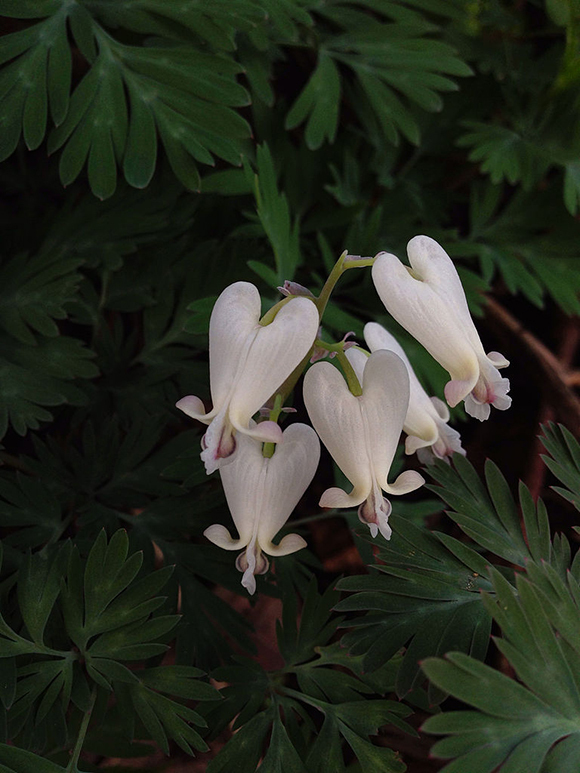 For ephemerals in the genus Dicentra, such as Dutchman’s breeches and squirrel corn (Dicentra canadensis), queen bumblebees are an important pollinator. These ephemerals have tightly closed flowers, requiring significant strength to enter the flower and access the pollen and nectar. The large queen bumblebees are among the few pollinators equipped to gain access. This is not only important for the plants, it is also important for the bumblebees. Many native bees colonies die off in fall, leaving the queens to overwinter and start the new colonies in spring. These large, fuzzy bees are able to manufacture enough physiological heat, by vibrating their wing muscles and restricting their blood flow in the thorax, to get themselves flying early in spring before it’s warm enough for many other pollinators to go foraging for resources to start the new colonies. The spring ephemerals provide this important resource. Besides being important sources of nectar and pollen for native insects, the spring ephemerals also serve the purpose of saving soil and reducing water runoff during a time of year when few other plants are growing. Trout lilies, for example, have very efficient photosynthetic abilities and take advantage of the high light levels available in the spring woodland. This strong photosynthetic response requires large quantities of water to maintain the process. Therefore, abundant populations of this species and other ephemerals absorb large quantities of water that would otherwise move off site, often carrying valuable nutrients and soil with it. This high demand for moisture also causes the ephemerals to have shorter flowering periods in times of drought. 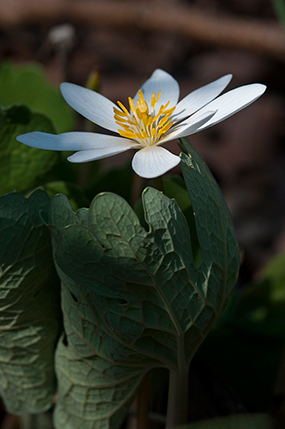 In your yard, you can encourage ephemerals to flower longer during dry conditions by providing a little extra water. There is also some thought that the rapidly decomposing foliage of these “short-lived” plants provides readily available nutrients for other plants that begin growing later in the season. One other fascinating thing about spring ephemerals is that essentially all of them rely on ants to disperse their seeds. This relationship is referred to as myrmecochory—”myrmex” being the Greek word for ant. Each seed of the spring ephemerals has a structure called an elaiosome attached to its surface that attracts ants. The elaiosome is rich in lipids and proteins. The ants take the seeds back to their nests and consume the elaiosome as food, after which they bring the seed to the surface and deposit it on their trash piles, where the seeds tend to germinate in a rich, organic seedbed. I include another plant with elaiosomes in the list of spring ephemerals. This is parasol sedge (Carex umbellata). 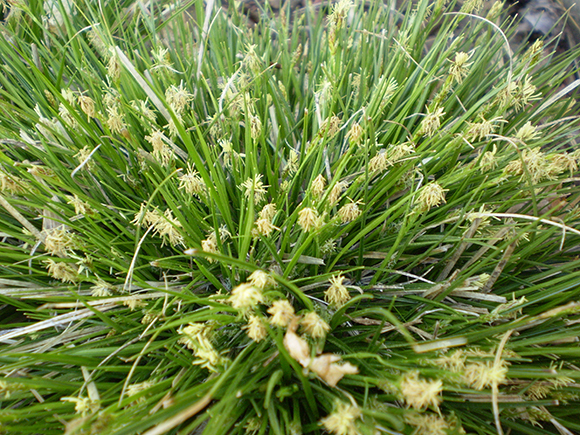 This grass-like, early-flowering sedge produces most of its seeds very close to the soil surface, where ants are more likely to find them. It is not uncommon to find ants nesting at the base of these plants. I often get questions from people who have planted ephemerals in their yard, but say they don’t see seedlings, while their neighbors are finding them on their property. It is more than likely that the neighbors have the ant colony that is harvesting the seed and sowing them at the neighbors’. Given that the spring ephemerals are adapted to growing in a cool, moist environment and highly dependent on early spring pollinators, climate change is likely to cause stress in the system. Early warming and possibly drought conditions in spring may disrupt pollinator interactions or shorten flowering periods, making seed production more difficult, or reducing the amount of time ephemerals have for storing nutrients for future flowering. With spring on the horizon, you should make plans to visit the McDonald Woods to view the diversity of colorful spring wildflowers. For those of you taking pictures, pay attention to weather forecasts, and be mindful of the potential to damage other vegetation while attempting to get the perfect shot. What a shame to have received this after the April event is over. It would have been a lovely walk. Hopefully I can attend a future walk. Thank you. Next Next post: Spring Containers Are Here!